The Miami Hurricanes (2-2) fall to the Nebraska Cornhuskers (4-0) 41-31 in their first rematch since the 2002 Rose Bowl. Nebraska RB Ameer Abdullah ran all over the Miami defense, breaking the all-time school record for all-purpose yardage with a 229 yard performance. On the other side of the ball, true freshman Brad Kaaya showed flashes of greatness – passing for 359 yards and three touchdowns. However, the California native still showed some growing pains, throwing two interceptions and permitting a few delay-of-game penalties early in the game. The Hurricanes looked strong after driving 75 yards for a Duke Johnson score on the first drive, but the Big Red quickly answered with a 40-yard bomb to senior Kenny Bell. The offensive shootout continued up until the end of the first half, when Nebraska kicker Drew Brown put the ball through the uprights for a 17-14 Husker lead. After an exchange of scores from Abdullah and Miami Wideout Malcolm Lewis, the Hurricanes were within three again with 4:57 to go in the third. That momentum would be shattered though when Duke Johnson fumbled in enemy territory, leading to a 40-yard touchdown recovery by Nebraska defensive man Josh Mitchell. The Hurricanes would remain within striking distance for the remainder of the game, until Abdullah scored again with 3:05 to go to elevate the Huskers to a 17-point lead. 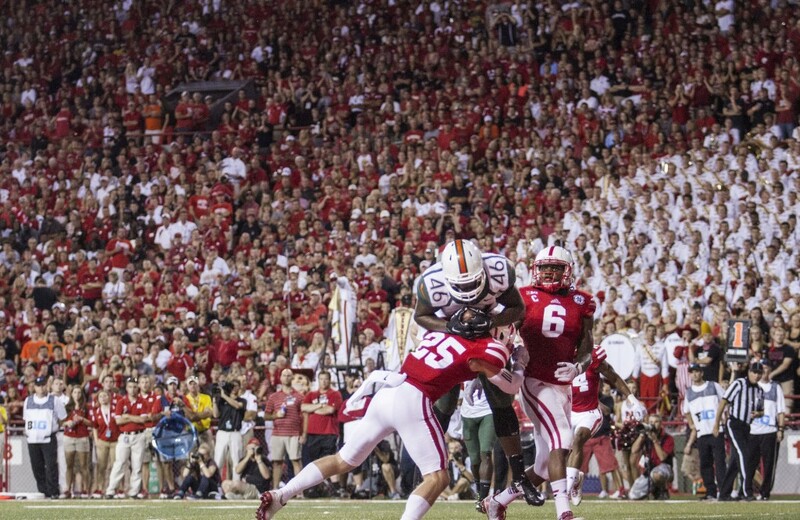 On the next drive, Kaaya connected with fellow freshman Braxton Berrios to bring it back to 10, but after a failed onside kick in the following seconds, the Huskers avenged their 2002 Rose Bowl defeat. Miami will next play against Duke (4-0) Saturday for their second ACC match of the year.